Believe it or not, this is NOT the same statue that this idiot constructed. 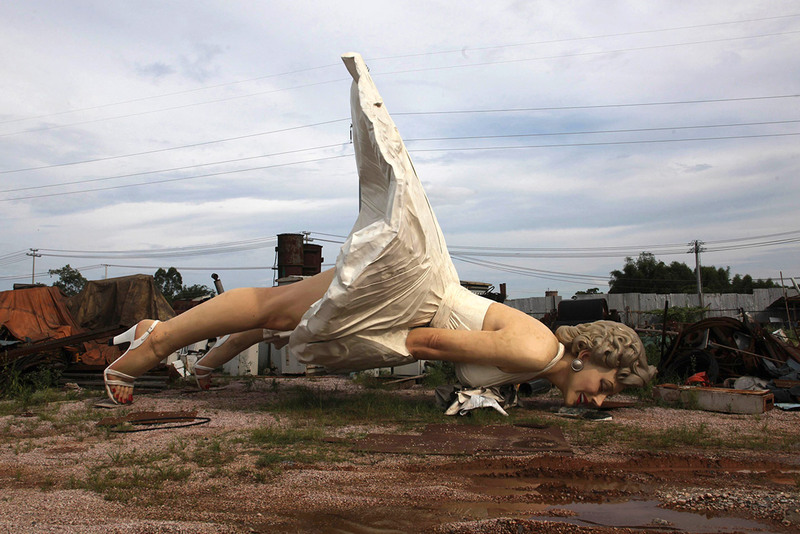 His 26-foot tall statue, called Forever Marilyn, lowered Chicago’s already tawdry Michigan Mile for a summer. I appreciated his previous works which stood there—a three-dimensional rendition of Grant Wood’s American Gothic and then a metallic, wind-tormented King Lear—but despise the sensational mannequin. International news agencies who know as little about this Chinese replica of a replica state obliquely that justification for its existence is “unknown,” which is a complaint many had for the American unoriginal. I’d say this exhibit has finally found its proper venue, but I wouldn’t want to insult the good people of Guigang, China.